In this week’s programme we bring you some more music recorded at previous years of the annual North American Comhaltas Convention. 00.00 Here we present John Whelan, the 1983 All-Ireland Senior button accordion champion playing three reels: “The Killavil”, “The High Reel” and “The Fermoy Lasses”. Now living in Milford, Connecticut, USA, John comes originally from Luton, England. This music was recorded at the Comhaltas North American Convention in Boston in 2003. 03.07 Recorded at the North American Comhaltas Convention in Parsippany, New Jersey in April 2004, we present Joannie Madden (of Cherish the Ladies fame) on concert flute, her father Joe (native of Co. Galway) on accordion and Felix Dolan, one of the great accompanists, on piano. They play three reels: “The Caucus” followed by a reel learned from Mike Rafferty, and the third reel which Joe learned from the playing of Johnny Doherty, the Donegal fiddle player, in 1956. 07.08 Recorded at the North American Comhaltas Convention in Parsippany, New Jersey in April 2004, Felix Dolan provides piano accompaniment for accordion player Billy McComiskey. Billy plays two tunes of his own composition which he names after his two grandmothers “Nora Sweeney’s” and “Elizabeth Cullen’s”, which is this week’s tutorial. 11.15 From Detroit, Michigan, Colleen Shanks plays three slip jigs on whistle. Colleen learned a lot of her music from Mick Gavin, who emigrated from Co. Clare in the 1960s having played with the Dalcassian Céilí Band. Over the decades fiddle player Mick has taught the music to many young musicians around Detroit. 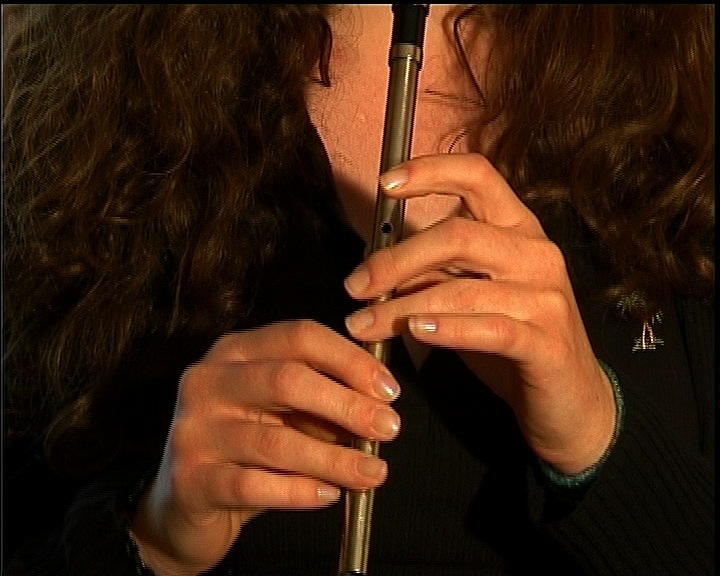 The second tune played by Colleen, called “The Whinny Hills of Leitrim” is unusual in that the first part is played once and the second part twice. 13:55 Next, two Ed Reavy reels played by fiddle player Erin Loughran from Pearl River, New York. Erin learned her music from Brian Conway and Rose Conway Flanagan. The reels are: “In memory of Coleman” and “The Wild Swans of Coole”. The music was recorded at the North American Comhaltas Convention in Parsippany, New Jersey in April 2004. 17:01 We conclude the programme with a selection of reels, commencing with “Jackie Coleman’s”, played by Boston fiddle player and Comhaltas stalwart Larry Reynolds. Larry is joined by concert flute player Mike Rafferty and button accordionist Tara Lynch, originally from Corofin, Co. Clare. The music was recorded at the North American Comhaltas Convention in Parsippany, New Jersey in April 2004.